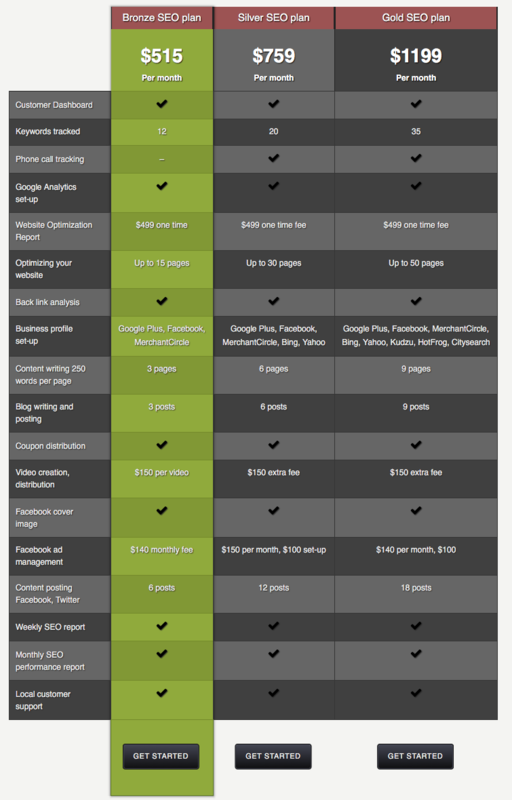 Check out our various pricing tables for search marketing, search engine optimization, and web design. We offer “affordable” web design, PPC advertising, and search engine optimization. We are NOT as cheap as SE Asia firms. We may be the least expensive in Denver for the quality of work we do. Affordable means it can fit into your budget. We are still half the price of big ad agencies. We will always try to offer the best value in web design work including landing pages, animated banner ads, websites, and eCommerce sites. 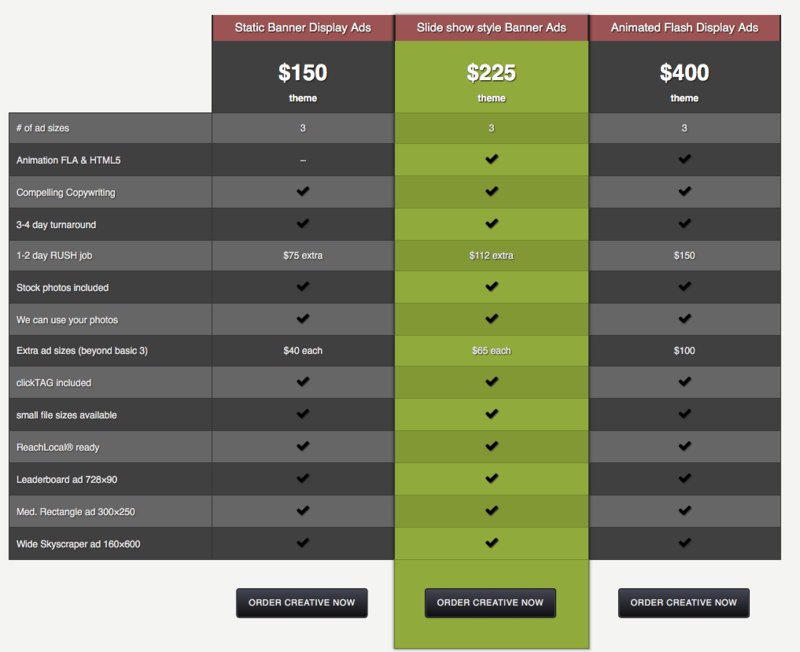 SHOPIFY online stores are $1,750 plus $6 per product. There are restrictions and many details not covered in these tables. 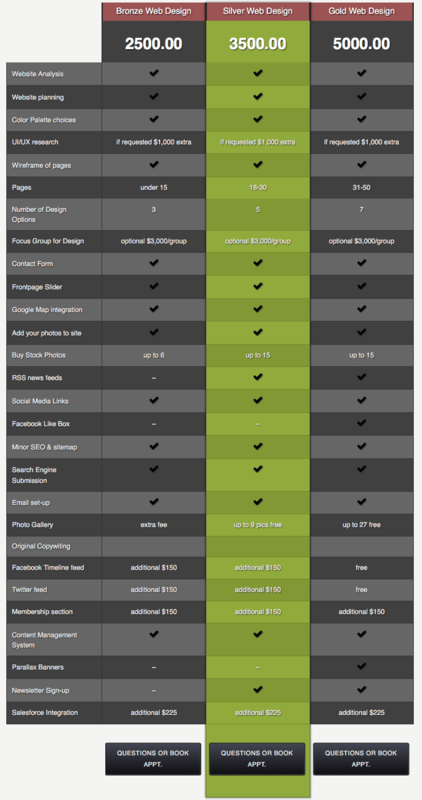 See all of the pricing on the detailed pricing page for each product. 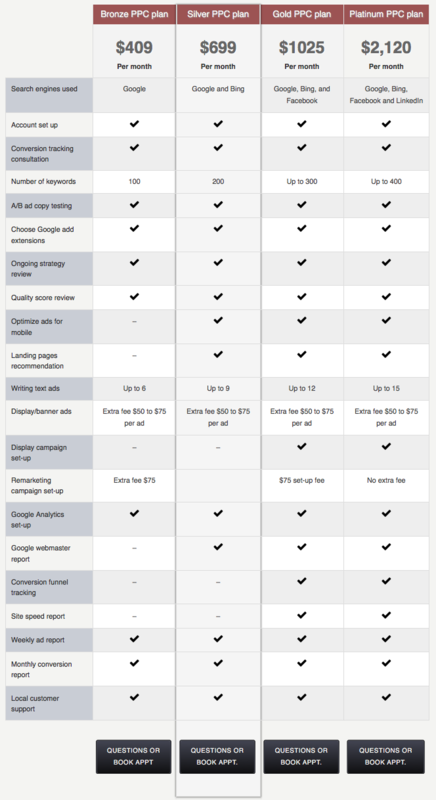 Pay Per Click Advertising fees do NOT include the actual cost of the ads. Those bids will be paid directly to Google and Bing.